Tears play a crucial role in preserving the health and function of your eyes. 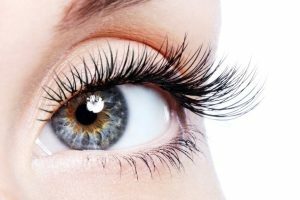 They allow you to see clearly by providing nutrients to cells in the cornea and helping keep the eye’s surface clean and clear of foreign objects. Dry eye is a common condition in which the body produces an insufficient quantity (or quality) of tears and cannot keep the eyes adequately lubricated. A good percentage of dry eye cases involve the meibomian glands, which secrete lipids (oils) to slow the evaporation of the tears; when these glands malfunction or become plugged, the tears evaporate too quickly and cannot properly lubricate the eyes (this is known as evaporative dry eye). However, as odd as it may sound, watery eyes can also be a symptom. This is because dryness on the surface of the eye can overstimulate tear production as a protective mechanism. In most cases, dry eye is a benign yet uncomfortable condition. It can be managed successfully, usually resulting in greater eye comfort, fewer symptoms and, in some cases, better vision. 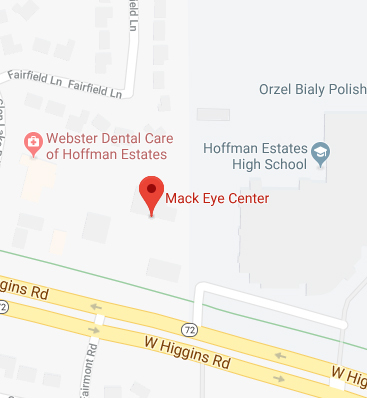 If you are experiencing chronic dry eye, make an appointment with the Mack Eye Center, a leading provider of dry eye treatment in the Hoffman Estates and Chicago areas. One of our trusted eye doctors can thoroughly examine your eyes and symptoms to properly diagnose your condition and recommend proper treatment. If left untreated, chronic dry eye can cause serious complications, including frequent eye infections, inflammation and scarring of the cornea, which may lead to permanent vision loss. Dry eye can be caused by a few different things. As you age, your eyes naturally produce fewer tears. Post-menopausal women are also at higher risk of dry eye than women of the same age. Certain medications, including some blood pressure medications and birth control pills, also increase the risk of dry eye. And people who wear contact lenses may experience temporary or chronic dry eye. Certain environmental and lifestyle factors can increase the likelihood of dry eye. When staring at a computer or other digital device for long periods of time, we tend to blink less, leading to greater tear evaporation and an increased risk for dry eye. Air conditioning, ceiling fans and air heating systems can decrease indoor humidity and are common risk factors for dry eye. Smoking not only contributes to serious overall health problems, but has also been linked to dry eye. The Mack Eye Center offers several treatments to manage dry eye, depending on the cause and severity of the condition. For mild or temporary dry eye, our doctors can prescribe eye drops or ointments that promote tear production and reduce symptoms. For evaporative dry eye caused by malfunctioning meibomian glands, the team at Mack Eye Center offers intense pulsed light therapy, or IPL, a new nonsurgical in-office procedure. IPL is a virtually painless procedure that uses pulses of light to generate heat that helps melt away stagnant secretions from the meibomian glands. After the secretions have been cleared, the meibomian glands are able to produce the oils needed to slow the evaporation of tears. Following IPL treatment, many of our patients experience relief from dry eye symptoms and become less dependent on lubricating eye drops. Depending on the severity of the condition, up to six IPL treatments spaced one month apart may be recommended. Limit your exposure to fans, air conditioners and hair dryers. Take frequent breaks during long tasks (e.g., reading, watching television) and blink often. Wear wraparound sunglasses to block wind from reaching your eyes. Use artificial tears to add moisture to your eyes when necessary. Prescription eye drops to lubricate the eyes and reduce inflammation. To discuss your treatment options to alleviate dry eye, call the Mack Eye Center today. Schedule a personal appointment with one of our experienced eye doctors by calling (847) 755-9393.